H.M. Queen Elizabeth, Prince Philip, Prince Charles et al. Queen Elizabeth II: the sixth queen regnant and 63rd sovereign of Britain. She can trace her ancestry beyond the Hanoverians, Stuarts, Tudors, Plantagenets and Normans, back to the Saxon kings of the Dark Ages. 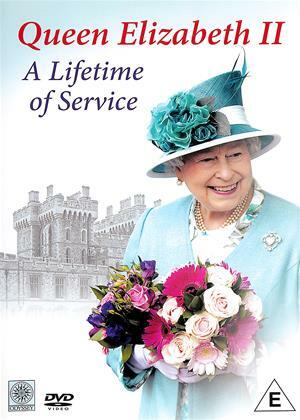 Her long reign has seen astonishing social changes in Britain and the world. Elizabeth's accession heralded a post-war era of golden promise, but the new Elizabethan age did not quite materialise. Britain moved slowly from wartime ration books to the austerity of the early Cold War years. Then the swinging 60's brought prosperity and new liberal attitudes epitomised by the pop music of the times. It was also the decade when the Queen and Prince Philip completed their family. Prince Charles and Princess Anne - born before the accession - were joined by Prince Andrew in 1960 and Prince Edward in 1964. Throughout the personal turbulence of her reign, the Queen has remained faultless in her public duties at home and abroad. As constitutional monarch, she has advised twelve Prime Ministers, from Churchill to Cameron. As head of state, she has travelled widely at the request of the British government of the day. She is Queen in sixteen countries as well as being Head of the Commonwealth, a free association of 53 countries. Now recognised as the longest serving Monarch Queen Elizabeth II continues to be a cornerstone of British life.